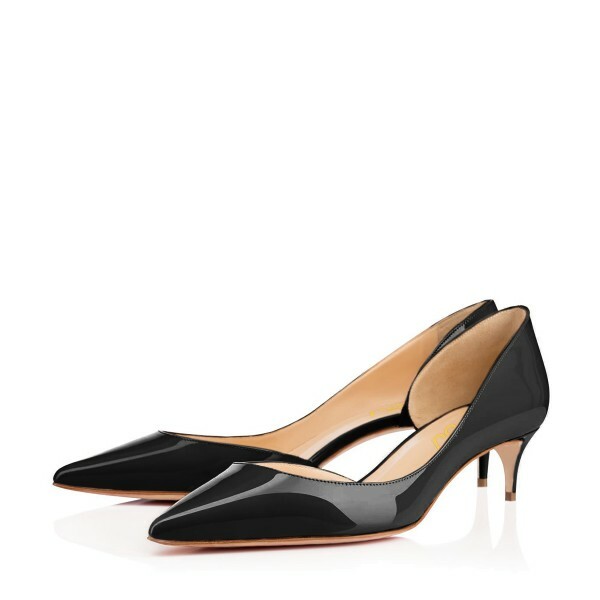 The classic pointy toe pump has been slightly updated with a softer point and a new stiletto heel , finished with a black patent leather upper. Material inside adopted with high-grade leather has a good breathable and absorbent function. These fit a bit big, but at least they're not slipping off like most of my heels. 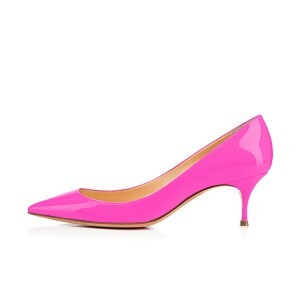 Love these cute little kitten heels! 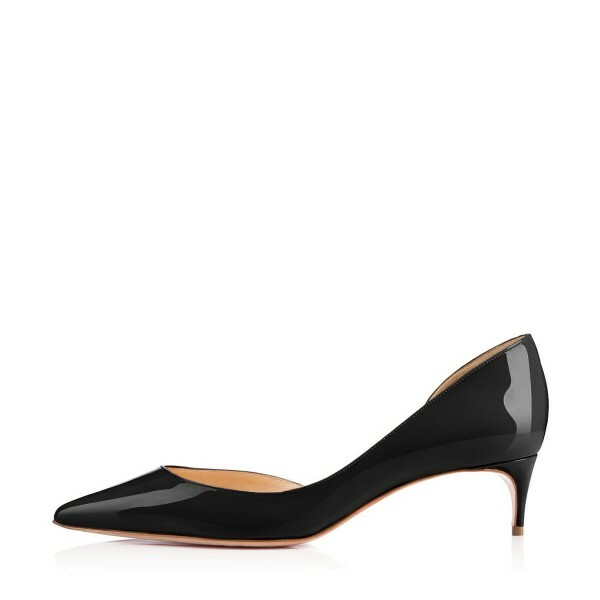 I'm not normally the biggest fan of kitten heels either, but these are chic and beautiful and look really great on!The shoes are faux leather, which makes me really happy, but shine like a beautiful patent leather. They are well made and seem very high quality. 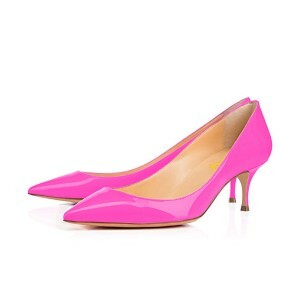 They are constructed nicely and fit very comfortably on the feet. They seemed to form to my feet well and made for some comfortable walking- even in heels!The shoes stay on the feet nicely and don't slip off. They are also true to size. Highly Recommended .